The As-Yet-Officially-Un-Renamed Weekly Roundup of Women’s NewsBeet Hummus. I KNOW, RIGHT? 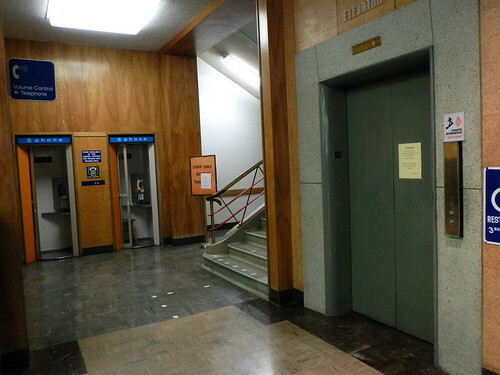 I also love old buildings, and find myself particularly drawn to the ones built in the 1950’s or 1960’s. I don’t know why that time period, of all time periods, draws me so much more than, say, the grand Victorians. I love all the historical places, but this era especially gives me a sense of nostalgia I can’t place. The way the sounds echo hollowly off the hard, shiny tiles as shoes click busily down hallways. The vague scent of dusty corners and musty stairways and floor wax mingling in a way unique to buildings of the era. The stifling and pervasive sense of history more pungent than any of the five physical senses. To think of all the memories the building holds, both in terms of physical records of history as well as that intangible way that memories mark themselves upon a place. The slight sense of sadness. A once-grand place, now nestled in among the usual downtown juxtaposition of refuse and shiny new stuff. It calls me. 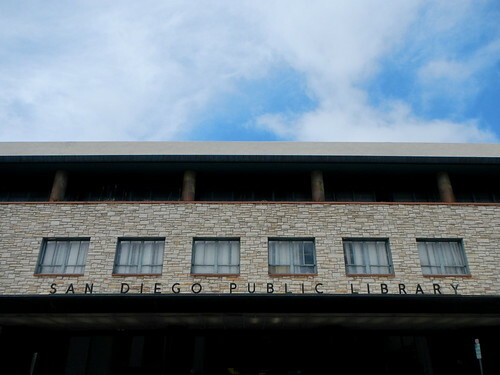 I have spent little time in the Downtown branch of the San Diego libraries, at least compared to my hometown library that I grew up in and still visit weekly. 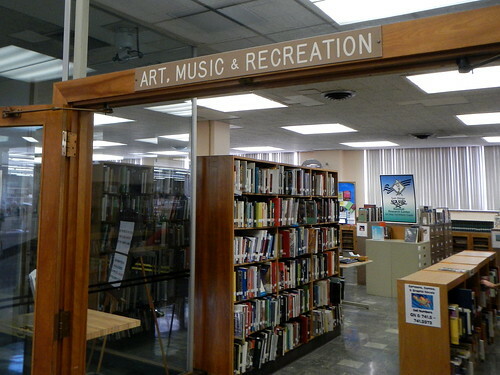 I think I first visited the Downtown branch for some long-forgotten high school project and I fell in love with it right that day. Later, I spent a few years working only a couple of blocks away so I visited it somewhat regularly (at the time there were also a lot of used bookstores in the area. ah I miss those). For a photography class I had to go look up books of artists for a report and I found many of my favorite photographers on those shelves. Cindy Sherman, Jerry Uelsmann, William Wegman (he’s not just dogs!). But the parking in Downtown isn’t fun or easy, so I haven’t been back in at least 13 years. I remembered the building itself feeling very historical to me, and, really, 13 years ago was a different age when it comes to library technology. 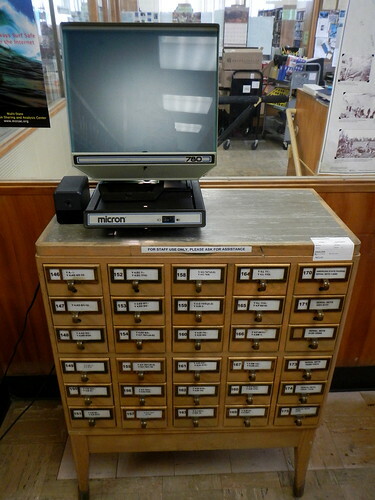 I think back then the microfiche machines were still standing in my local library. So if the technology of the Downtown branch was outdated back when I most visited it, it didn’t register to me. But walking in last weekend was like time traveling (I mean, if you ignored all the computers). 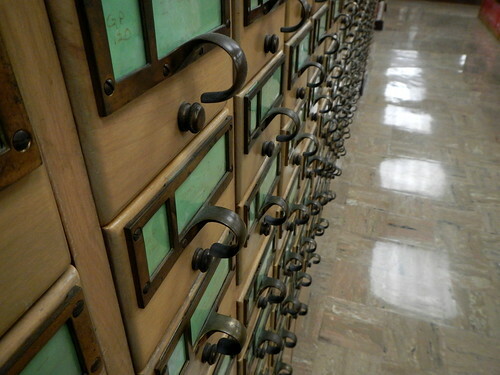 There were card catalogs! And a room full of people using the microfiche! 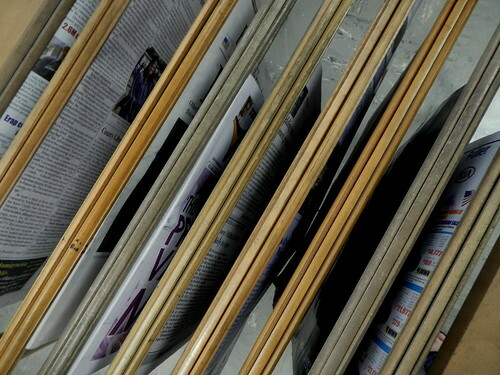 And newspapers hung neatly on those newspaper holder thingies! And more card catalogs! I was excited to share the library – one of my favorite places in the county – with my kids, but I never expected to be able to show them such ancient history in action. I actually asked one lady if my kids could watch her load the microfiche into the machine. My son was kinda pissed as hell that he didn’t get a turn. Fair enough. What I had expected was to walk in and find a dilapidated old place. With scuffed floors, neglected paint, broken doors, burnt-out lights. But there was none of that. It was a bright and well-maintained place whose shiny floors reflected the joy of being surrounded by books and people who love them. It was a sad day there, the last day, but most people were in good spirits. Perhaps because in a few months the next century’s library will open. Or perhaps because we had all come together to remember what we loved best about the place before it is gone. It has been closed a week now, and I imagine they are beginning to move everything out. 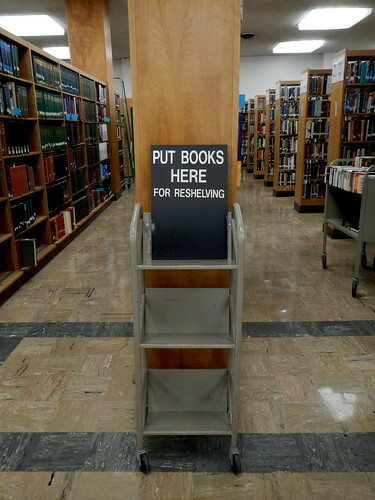 I imagine the shelves empty, the lights out. And I have mixed feelings. 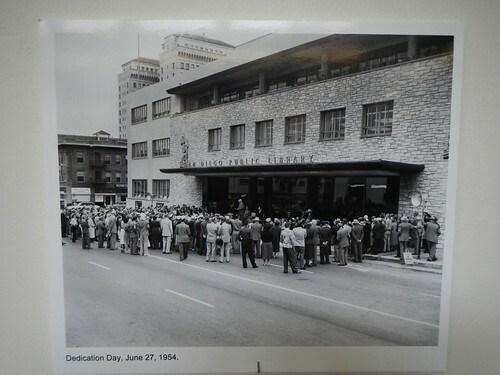 Because now there will be a new, larger library with more technological capabilities, and prepared for the growth of the next fifty years, but it won’t be that building that I loved so much. Awww, I didn’t know the downtown library was closing! I wish I’d known, so I could have visited again before then. Oh well. I knew it was *going* to be closing, but I only found out that day by reading a status update by a local news station on Facebook. I was glad I had that chance at the last minute.